We create elegant gifts, locally hand-crafted from artisan glass, hand-worked metal, and exotic woods. We can customize them to complement your corporate identity and then personalize for each individual client! 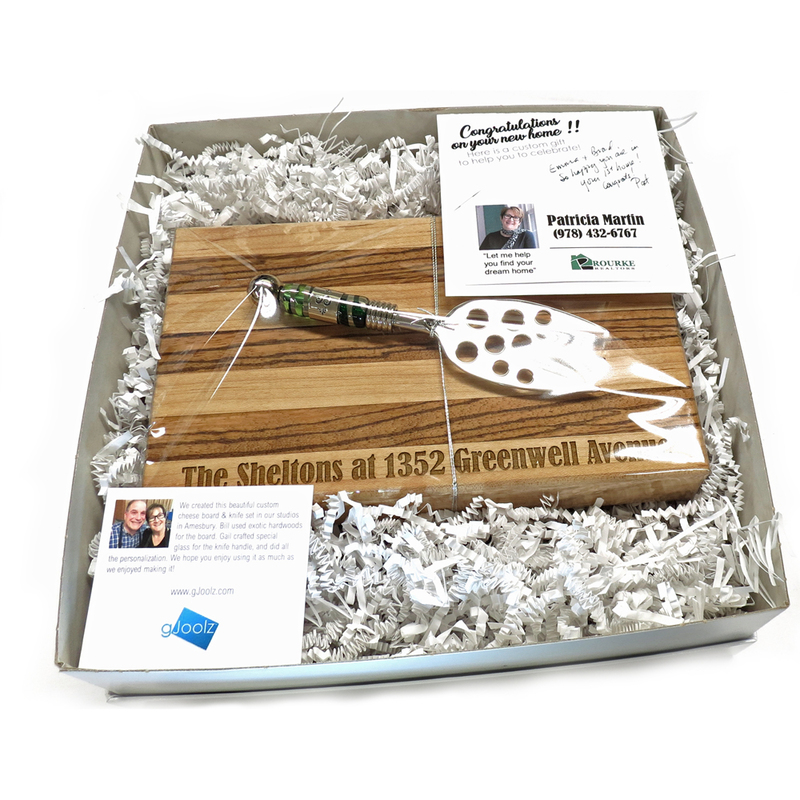 Your client gets a unique gift, especially for them, as a reminder of the special relationship that you have together. We package each gift beautifully with spaces for your card and personalized message. All you have to do is to present the gift and watch for the smile! Contact us at gail@gJoolz.com for info on quantity discounts and custom design options.